Unleash your inner warrior. With your speed, stealth and skill, your night will surely be a thrill! 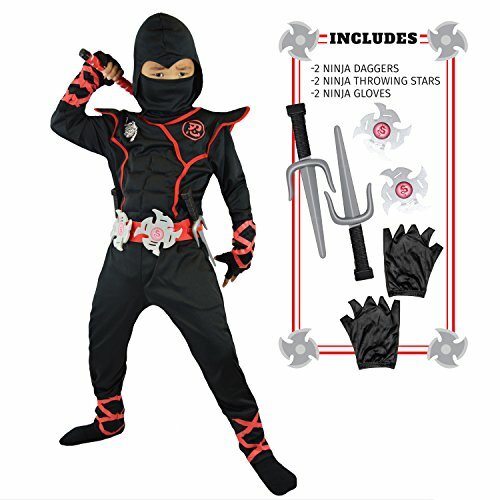 The Stealth Ninja Costume includes: a jumpsuit with attached molded chest armor, hood with detached mask and belt with attached ninja stars. Does not include sword or socks. 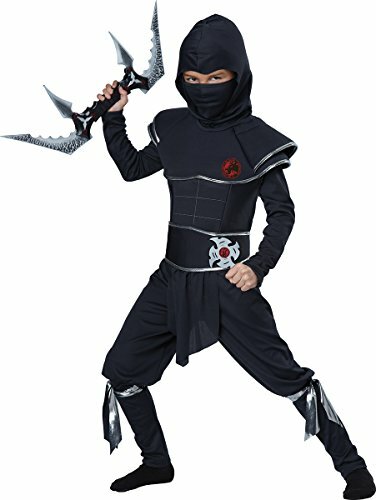 Kids will love the Silver Mirror Ninja Child Halloween Costume. It will give trick-or-treaters a treat when they look into your mirror mask. It also includes a top, pants, a tunic with belt, ankle and wrist guards and a hood Sword not included. It is just the item you need for Halloween, school plays, character reenactments, parties, parades, family occasions and other holiday productions and festivities. 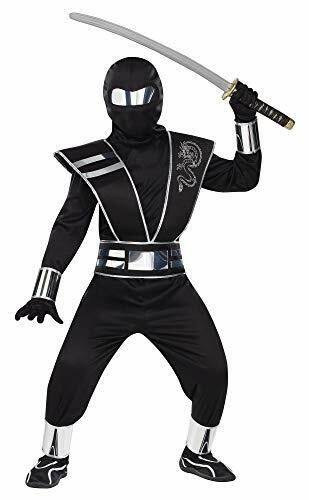 The silver mirror ninja costume is made from 100 percent polyester so it is comfortable and warm enough to wear all night long. Show off your look and your cool ninja moves. 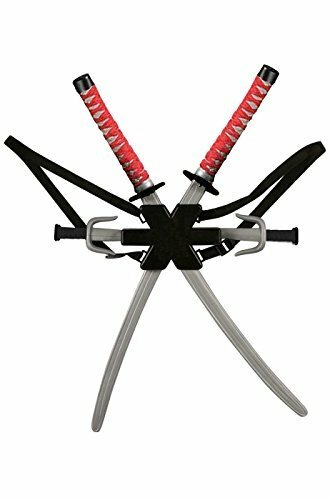 This Ninja Halloween costume is durable. 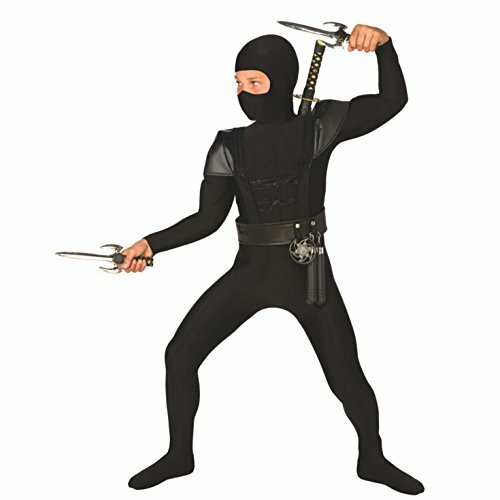 Dress like a daring and dashing master of martial arts with the White Ninja Halloween Costume. It features a thrilling and entertaining design that allows you to take on a danger-defying persona swiftly and simply when duty calls. 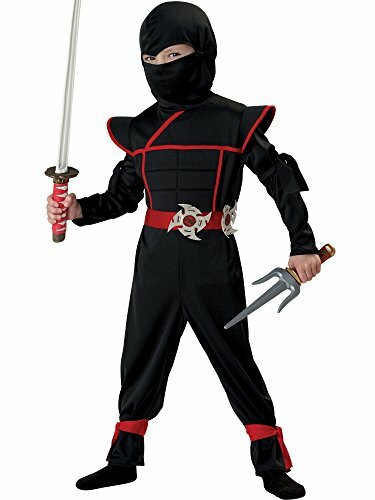 This white ninja costume comes with a hooded shirt that is imprinted with a classic red dragon, as well as a set of white pants and a traditional face mask to protect your true identity. This complete package also includes a belt, as well as arm and leg bands. 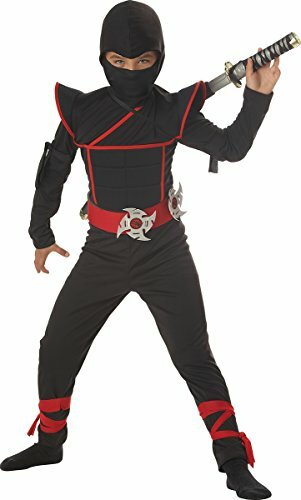 The deluxe child Halloween costume provides you with an enthralling ensemble that is sure to impress while trick-or-treating or attending costume parties. It is also ideal for other events, such as parades and festivals. 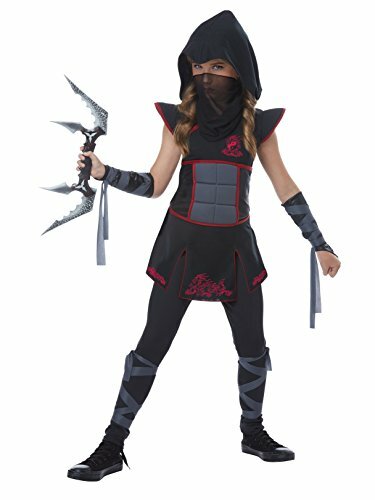 The White Ninja Halloween Costume is also appropriate attire for school plays, re-enactments and other festive productions.